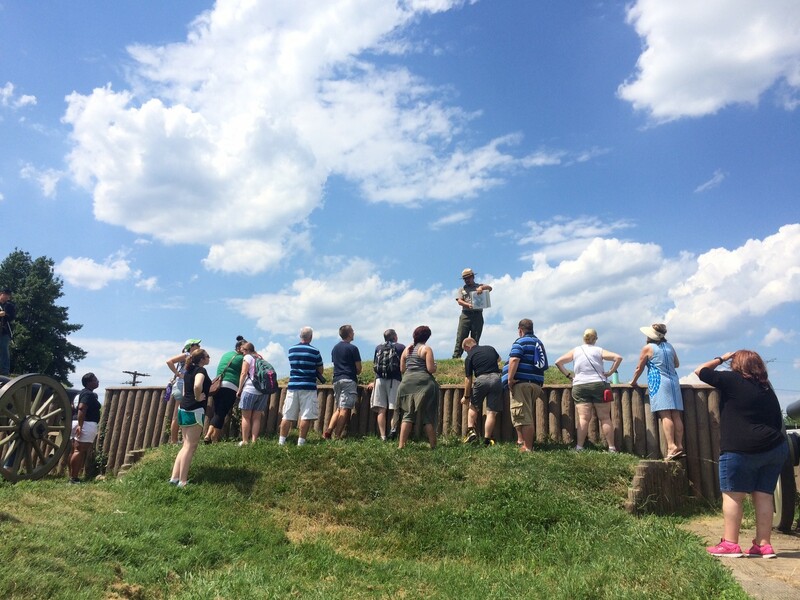 In 2018, we completed a three-year project funded by the Institute of Museum and Library Services that allowed us to work with George Washington University researchers to evaluate our summer teacher institutes: The Catherine B. Reynolds Foundation Civil War Washington and The Seat of War and Peace. 2017 participants of Civil War Washington at Fort Stevens. Photo by Alex Wood. Though Civil War Washington is focused on the history of the Civil War in the city of Washington and The Seat of War and Peace is focused on how we remember Reconstruction and the Civil War, in both institutes we aim to teach educators new and lesser-known historical content and introduce educators to strategies and tangible resources that can help them better teach new content. Ultimately, we want our teachers to return to their classrooms with confidence, motivated and better equipped to teach the Civil War and Reconstruction. 1. Educators discover new Civil War and Reconstruction historical content to share with their students. 2. Educators learn new strategies that help them integrate new content into their curriculum. 2016 Seat of War and Peace participants reflecting on Douglass's speeches at Frederick Douglass National Historic Site. Photo by Gary Erskine. 3. 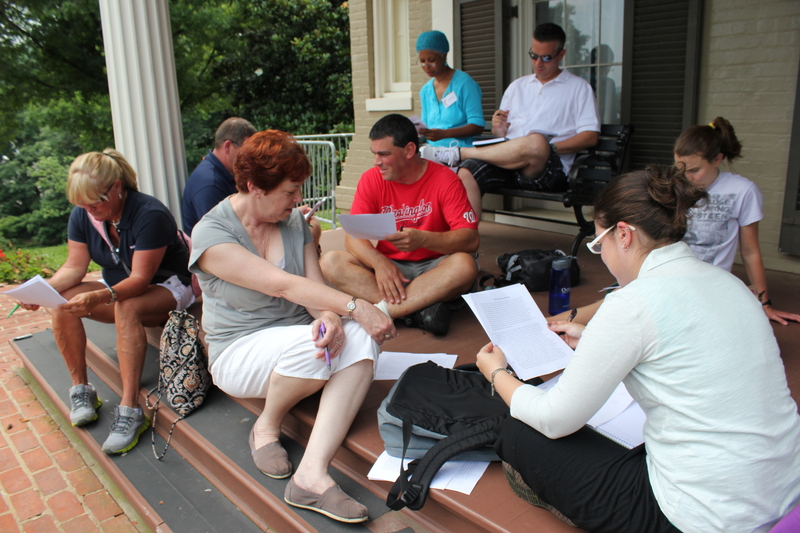 Educators return to their classroom better able to teach the Civil War and Reconstruction. Teachers who work with the Ford's education team return to their classroom with new knowledge, resources and a professional support system to implement lessons that deepen their students' understanding of the complexity of the Civil war and its ongoing legacy and relevance in the world today. Though our programs have been proven successful, we still constantly strive to do better. Each year, we reassess how the Civil War and Reconstruction remain relevant to today and add new articles to our reading lists. We strategize about we can more fully teach the Civil War, incorporating unknown and lesser-known historical narratives, stories of women, African Americans, immigrants, soldiers, political leaders, and more. Each year we teach our participants a lot, but we also learn so much from them. We can’t wait to welcome the 2019 crop of teachers to Ford’s Theatre for this years’ summer institutes. Interested in participating in our summer teacher institutes? Apply here for Civil War Washington and here for The Seat of War and Peace. Want to send this data to a friend? Download our printable flyer! Alex Wood is Education Programs Manager at Ford's Theatre.